Hier ein kleiner Beitrag von Rocket-News, der euch vielleicht interessieren könnte, die historischen Bilder stehen zum kostenfreien Download frei oder auf Bestellung als Artprint zur Verfügung. With more and more museums and libraries digitizing their collections, there’s a veritable treasure trove of content to explore online. One such resource is the New York Public Library’s Digital Collection, which features over 700,000 photographs, prints, maps, manuscripts, videos and other visual media, with more being added every day. 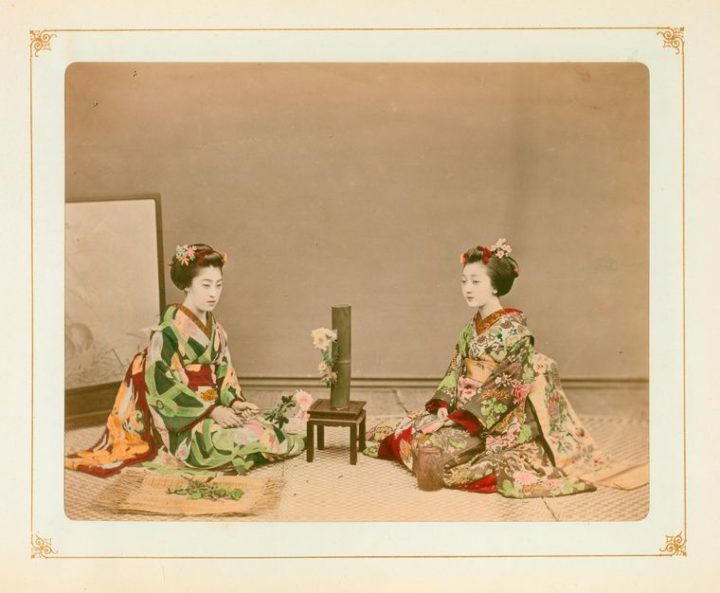 Turns out their collection includes a large number of photographs from Meiji Era (1868-1912) Japan, taken both by foreigners newly allowed in the country and Japanese photographers who quickly adopted the new technology. Some of the photos capture iconic images of traditional Japanese culture that are still very much associated with the country today, like sumo wrestlers facing off, demure women arranging flowers and geisha dancing with fans.